Laura is an excellent hostess, not only professional and sincere, she is a genuine person. She is definitely a big part of my great vacation in Crete. By far, she is the best among all hosts/hostesses I have encountered. The owner is such a kind and lovely person, always offering us snacks and fresh orange juice. Wonderfull ouner! Very pleasant people. I would stay there next time. We just stayed one night, but the hosts were nice. Room is pretty big and clean. It has a fridge, aircon and a small balcony. Location is good, in the center of Stalos, so very close to tavernas, shops and the beach. The place is pretty quiet, though. Basic room, kept clean throughout our stay, host was extremely pleasant and friendly. Went above and beyond in hospitality. The owner of the property Rula is a fabulous lady. Even though the rental was self catering she still brought me and my husband little snacks of traditional Greek food. The air-conditioning and safety deposit box were included in the price and there was a hairdryer in the room. 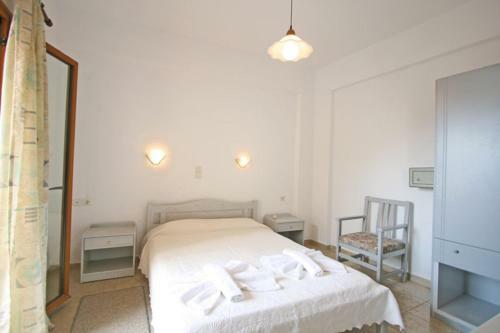 We found the room very clean (done daily) with change of towels and bed linen. It's a family run business and they are all fabulous. True Greek hospitality at its best. Very friendly personal with a big heart! We felt very comfortable. And sometimes they made us cake or sandwhiches. Very lovely!!! The hotel was near to the beach. Two minutes walk in front of the hotel. Room was clean. The room was cleaned every day. There was equipment for cooking and enough super markets in near. All in all just a very good place to stay. The host is an incredibly lovely and genuiney kind Greek lady. She met us promptly and throughout our stay explained evrything well and constantly checked up on us and even prepared us treats like watermelon and toasties. The room was incredibly comfortable for two people with a small kitchenette with all required utensils which allowed us to have nice breakfast on the balcony. 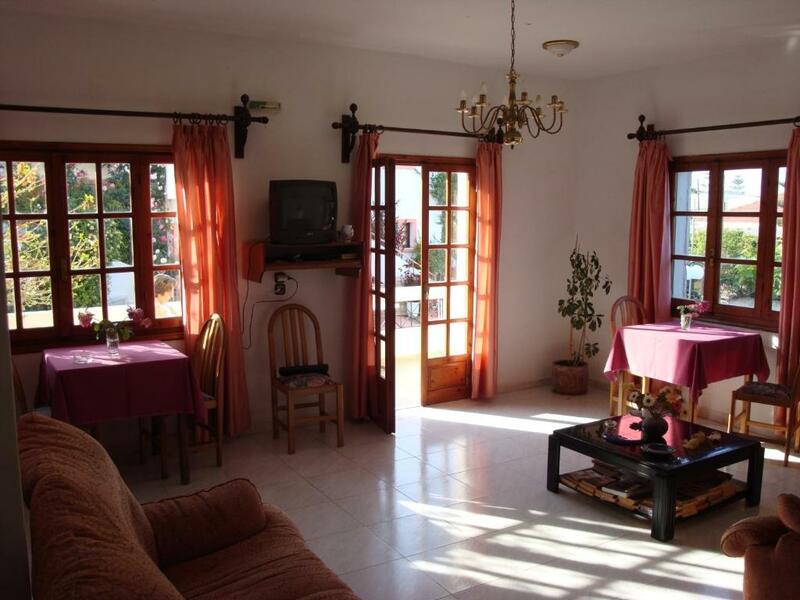 The location is perfect-only a 2 minute walk to a beautiful sandy beach and a very nice beach cafe with comfortable sundes. Also the bus stop was only 4 minutes walk away along the main road which was very convenient. Would highly recommend if you want something quite quiet but also easily reacheable by bus from Chania. Overall, quite impressed. very kind staff and great location. Beach is really near and it is okey. Chania town is 25 min drive and you really need car if you exploring Crete. Lock in a great price for Anniko – rated 9.2 by recent guests! Anniko This rating is a reflection of how the property compares to the industry standard when it comes to price, facilities and services available. It's based on a self-evaluation by the property. Use this rating to help choose your stay! One of our best sellers in Stalos! Hotel Anniko is located in the seaside resort of Kato Stalos, just 250 feet from the blue-flag sandy beach organized with snack bars and sun beds. 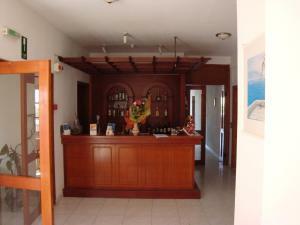 The hotel offers clean, spacious and fully equipped units with sea or garden view and landscaped outdoor swimming pool. It also features an internet corner and free wireless internet access is available throughout. All units have satellite TV, air conditioning, safe boxes, private bathrooms, private mini bar with fridge, coffee machine, toaster. 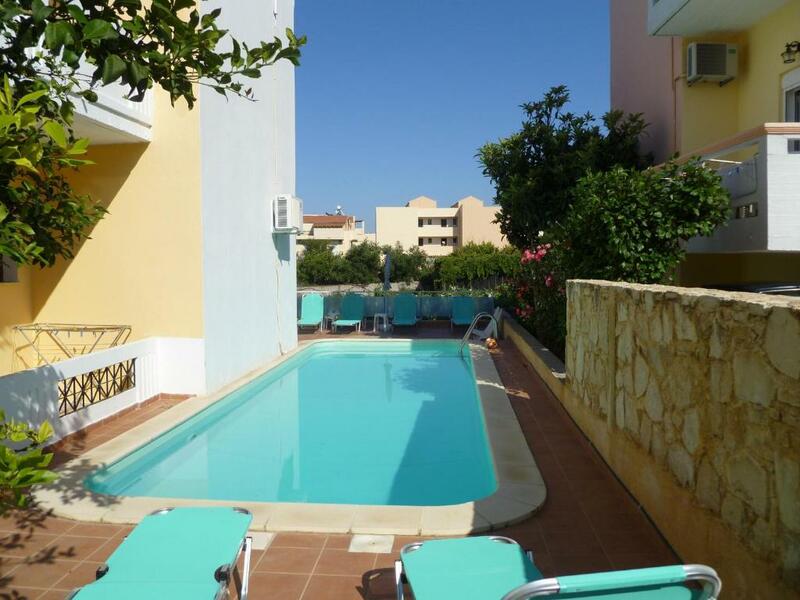 Hotel Anniko is perfectly located combining a quiet and green location, a friendly, family environment and easy access to restaurants, café and mini markets. Platanias is 1.9 mi away, while Chania is 4.3 mi away and connected by bus, stopping just 350 feet away. 뀐 Located in the top-rated area in Stalos, this property has an excellent location score of 9.5! When would you like to stay at Anniko? 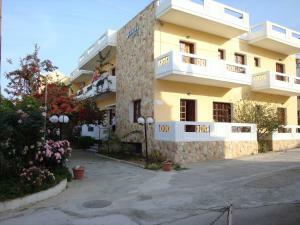 Includes satellite TV, air conditioning and kitchenette with fridge, coffee machine and toaster. 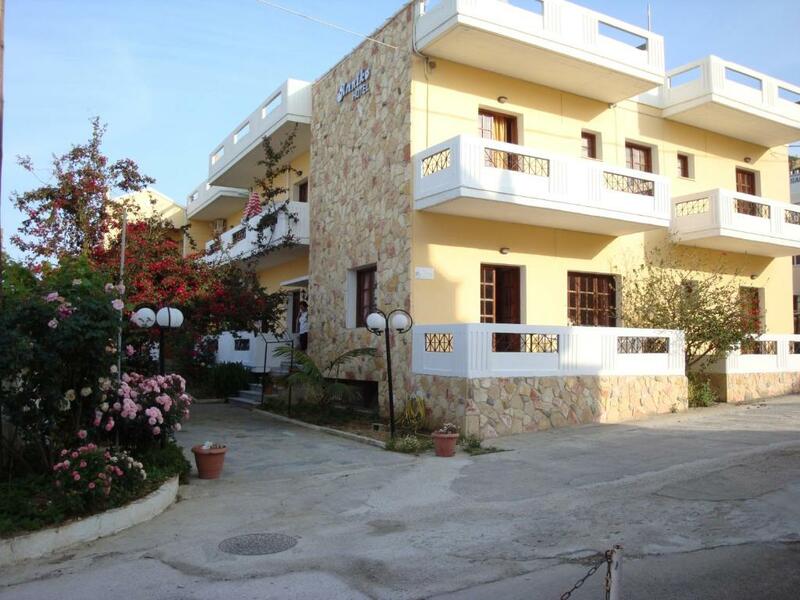 Spacious apartment including satellite TV, air conditioning and kitchenette with fridge, coffee machine and toaster. This studio features a balcony, satellite TV and air conditioning. House Rules Anniko takes special requests – add in the next step! 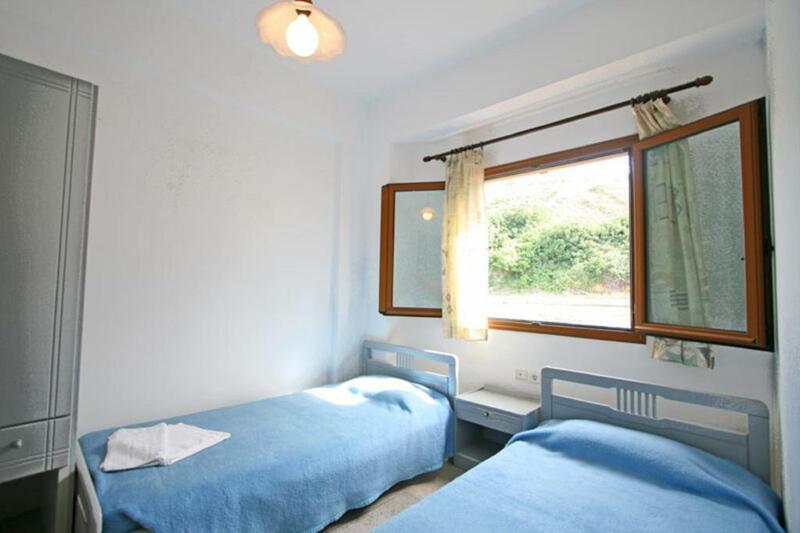 One child from 3 to 12 years is charged EUR 4 per person per night in an extra bed. Debit card Anniko accepts these cards and reserves the right to temporarily hold an amount prior to arrival. Anniko accepts these cards and reserves the right to temporarily hold an amount prior to arrival. Please note that extra beds should be requested and confirmed by the property. There really wasn't anything that we didn't like. The only problem really was the fact that the cleaning of the room wasn't always done very carefully seeing as one day I walked in and found my pyjamas on the floor instead of being put back to its origina position on the bed which wasn't very pleasant, nor hygeinic. I spent one week in this place the owner is lovely woman always available and smiling some times she brought typical Cretan pastry and drinks made sandwiches for me and my boyfriend. I will truly recommend this place here you’ll find a warm welcome a familiar place and relax. Difficult to find. Sat Nav couldn't find it. Maybe improve directions. It's on a hidden side street off the main road. Very friendly owner. Rula. She was so accommodating. Offered us coffee and nibles before we left. Superb. Spotless. Great location. I had a wonderful one-week stay at Anniko! I recieved a warm welcoming and felt like home for the whole stay, thanks to the beautiful owner. 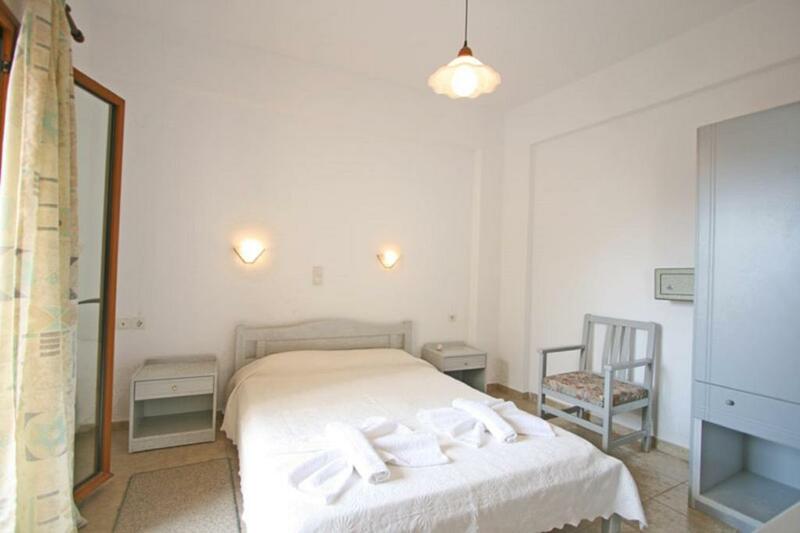 The room includes all the needed items and the beds are very comfortable, you can get a good night sleep here. The area is cozy, with greenery and flowers. The location is perfect. The beach is just across the road and there are a lot of different restaurants and cafeterias for all tastes. Crete’s old town is located 15-20 min if going by bus. Looking forward to come back one day! It is a lovely place, the family are so welcoming and kind with their gifts of food (every day!)! Our room was the perfect size, large balcony with views of the sea. Very relaxing. Very clean. The pool has sun all day and is nice and cold. A family of swallows play in the field near by and swoop around the pool to drink. 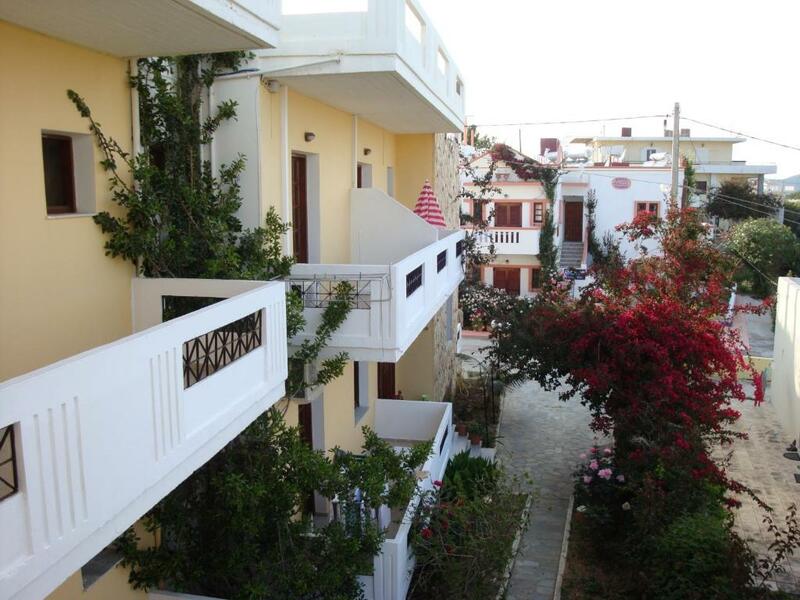 This is fantastic accommodation with a superb host and family who made us feel so welcome - lit was lovely to come back from a day at the beach to a cheery ‘hello’ or ‘good evening’ (in Greek of course). The booking was on room only basis, and it was spacious, clean and kitted out with all you need including a fridge, kettle, kitchenette with two ring hob and sink so we were able to make lunch and snacks etc and enjoy eating on our ample balcony which had a sea view peeking between the buildings at the end of the road which fronted the beach. Beds were made and bathrooms cleaned every day. We even had roses from the garden placed in a vase beside the bed, and some mornings fresh orange juice and pastries or cake brought to the room - our lovely host went completely above and beyond what we expected! 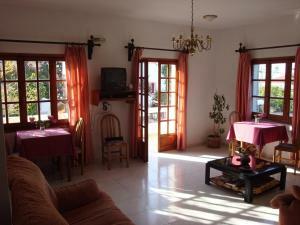 Excellent location being only two minutes walk from the beach, local supermarket, bars and restaurants. Look out for the cheese van which comes round one or two mornings and stops outside - we bought huge slab of local and delicious cheese for 4 Euro which served many lunches for our week. There’s a small pool and terrace with loungers if you want a change from the beach. 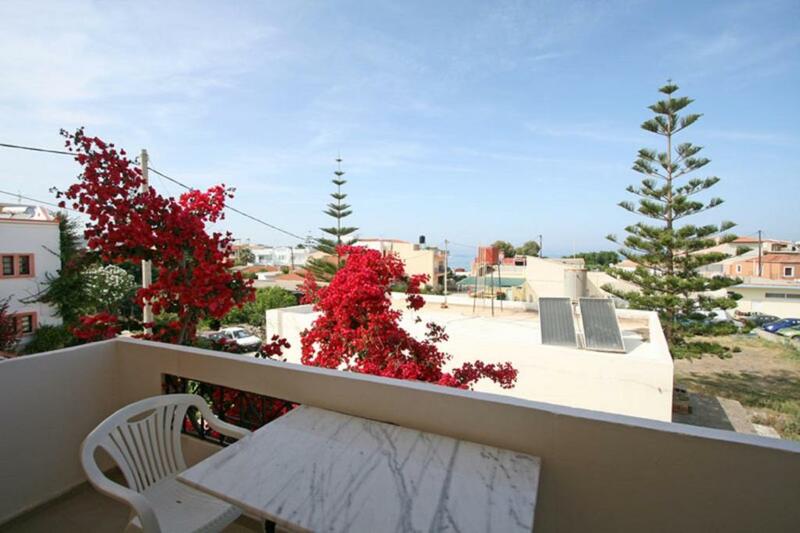 Best of all is being made to feel welcome and part of real Crete! Thoroughly recommended! Hostess was so welcoming and generous. Hotel was quiet and spotlessly clean.